ARSENAL (3-4-1-2): Cech; Sokratis, Koscielny, Monreal; Maitland-Niles, Torreira (22'st Elneny), Ramsey, Kolasinac; Ozil (12'st Mkhitaryan); Lacazette (12'st Iwobi), Aubameyang. A disposizione: Leno, Mustafi, Suarez, Guendozi. 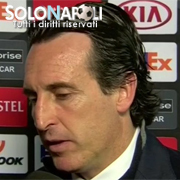 Allenatore: Emery. NAPOLI (4-4-2): Meret; Hysaj, Maksimovic, Koulibaly, Mario Rui; Callejon, Allan, Fabian Ruiz (38'st Ounas), Zielinski; Insigne (38'st Younes), Mertens (11'st Milik). 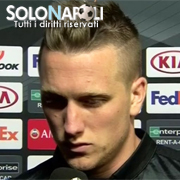 A disposizione: Ospina, Chiriches, Ghoulam, Malcuit. 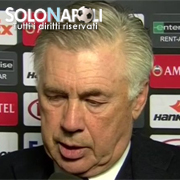 Allenatore: Ancelotti. MARCATORI: 15'pt Ramsey (A), 25' aut. 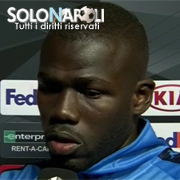 Koulibaly (A). NOTE: Ammonito Hysaj (N). Recupero: 1'pt-4'st. 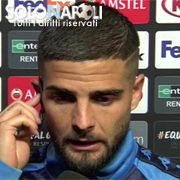 Calci d'angolo: 9-8 per il Napoli.